Truth be told, we love anything that shines and sparkles—glitter is just so pretty to look at. This might explain why shimmey eye makeup will always be on trend and why we see it everywhere, from models on the runways during fashion week to our favorite celebrities on the red carpet. It's also the perfect look for the holiday season. There's just something about the holidays that makes you want to shine a little bit more than normal and go all out with your beauty look. To honor our love of sparkle, we picked six pretty shimmery styles we want to re-create and paired them with some of our favorite shimmery eye makeup looks that we're loving right now. Scroll down to see what we chose below. Celebrity makeup artist Patrick Ta created this warm smoky eye with a shimmer on the lids for Shay Mitchell during New York Fashion Week. He mixed different shades from what looked like the orange/red color family and extended the color down near the waterline and all over the bottom of the eye. 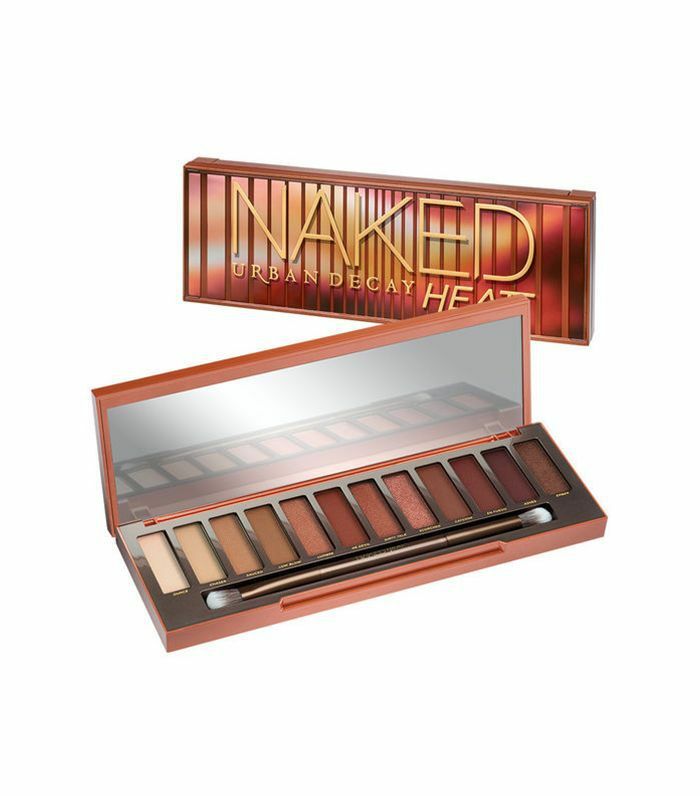 We know we don't have to do much to speak to the greatness of the Naked palettes. The Heat version in particular features shades in the brown, orange, and amber family to get the warm tones that Shay wore. For a minimal but still striking shimmer, try this look from the Anna Sui spring 2018 show. Makeup artist Pat McGrath placed a vertical glitter line that went down the entire lid and past the eye. She also dabbed glitter on the corners. 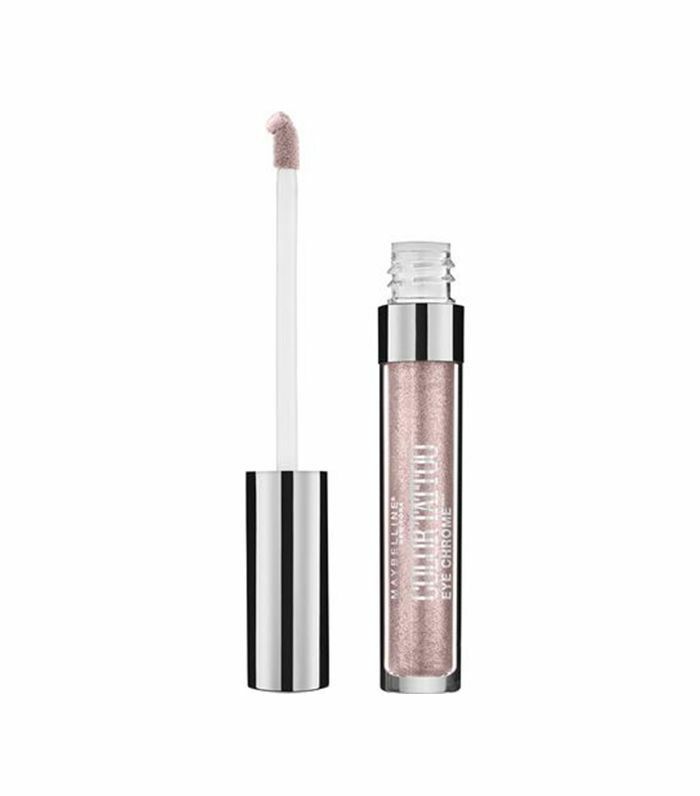 To re-create the look, use this Maybelline liquid eye shadow. The applicator makes it so you can draw a straight line, and its creamy texture is very pigmented for strong visibility and long wear. Celebrity makeup artist Sir John created this dark magenta/purple eye look on Joan Smalls for the MTV Video Music Awards. You can see shimmer splashed all over the lid and a little below the eye as well. 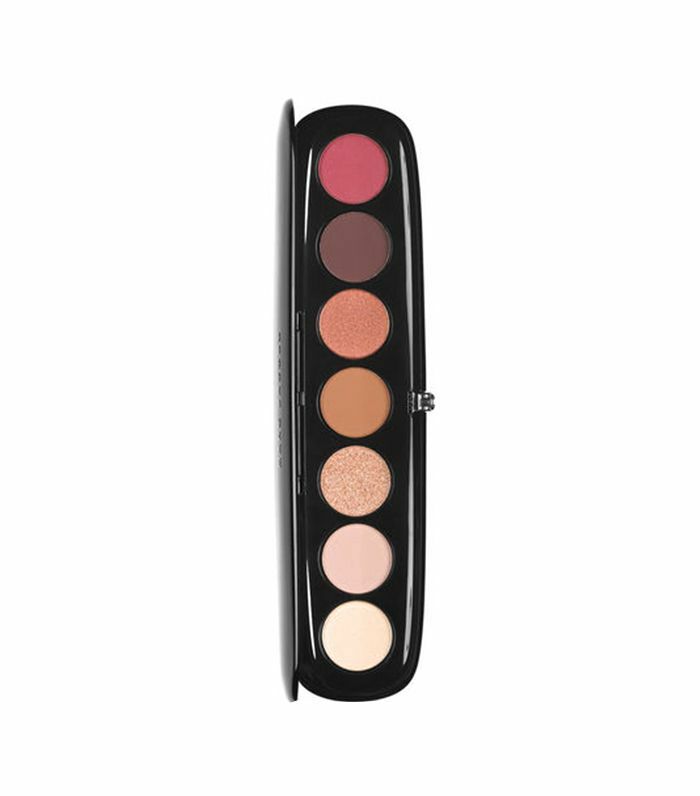 This palette offers five creamy shades that stay on for hours. Each is highly pigmented with a nice shimmer that isn't overpowering. 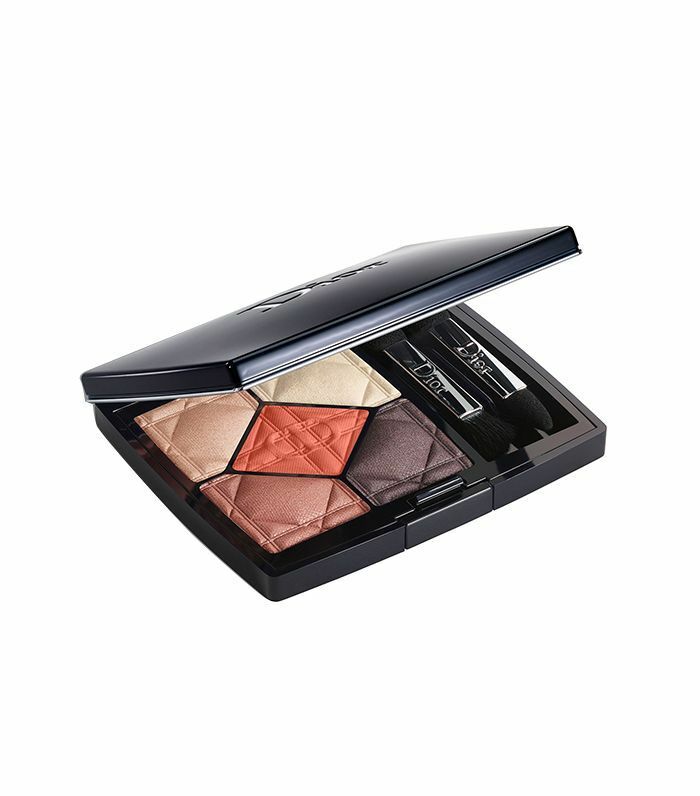 Use the lighter shades to illuminate the eye area and the darker shades to create a smoky eye look like Smalls's. Celebrity makeup artist Hung Vanngo created this bright orange metallic eye look that sparkled right on the waterline and subtly across the lid on Bella Hadid. The metallic sheen and slight shimmer in this palette make for a very pretty eye look. The middle shadow is highly pigmented for a good base while the outer shadows contain that subtle glitter to liven up the look. In another Patrick Ta creation, Olivia Wilde sported a warm orange shadow with shimmer. 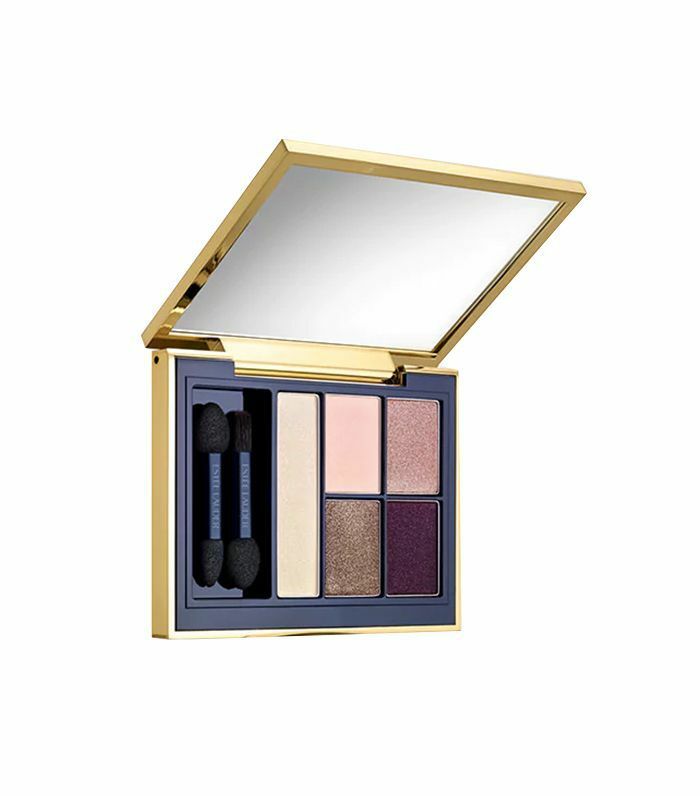 Not only can you mix different shades together, but you can mix different finishes—satin, velvet, silk (shimmer), and lamé (metallic)—with this palette to create multidimensional looks. Scandalust contains warm red and orange tones to help get the same look Wilde is wearing. Miranda Kerr sports a pretty pale pink shimmer across her lids. This bright, pinky coral has a frost shimmer to it that matches closely to what Kerr is wearing. 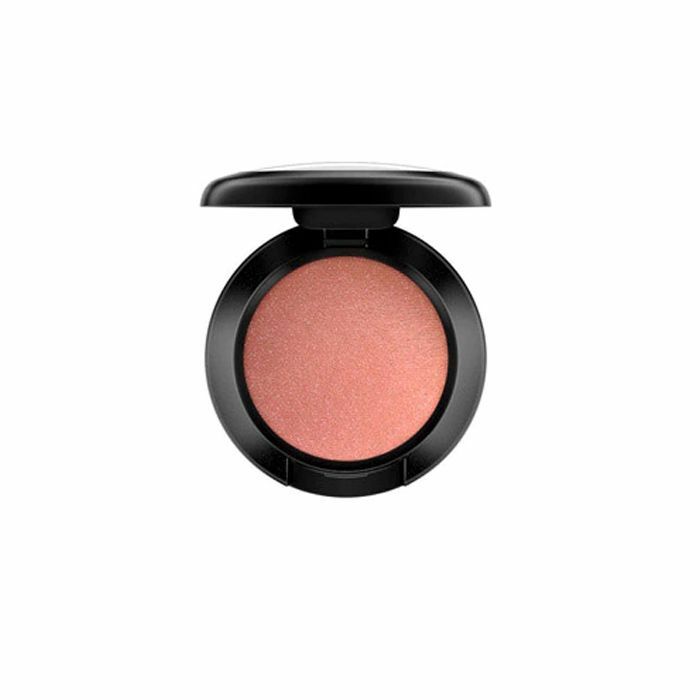 The formula is extremely blendable and highly pigmented.